The class page will be updated to keep you up to date with everything we have been doing and useful information. Also take a look at the gallery for photos of events in school. I use Marvellous ME to send praise, learning updates and messages so make sure you are logged in. Any questions or concerns you may have through the year please do not hesitate to come and speak to me. We had a busy Autumn term our theme was 'Fire, Fire' We enjoyed a trip to Aston Hall where our learning in the classroom was brought to life. The children also produced some amazing houses from the past as a homework project. 'A Midwife crisis' was the KS1 Christmas production and all the children were fantastic. This term our Theme is 'A Knights Quest' We have been learning about different castles, where they were built and why. In art we have used different techniques to create castle pictures in the style of the Buck brothers and James Paterson. 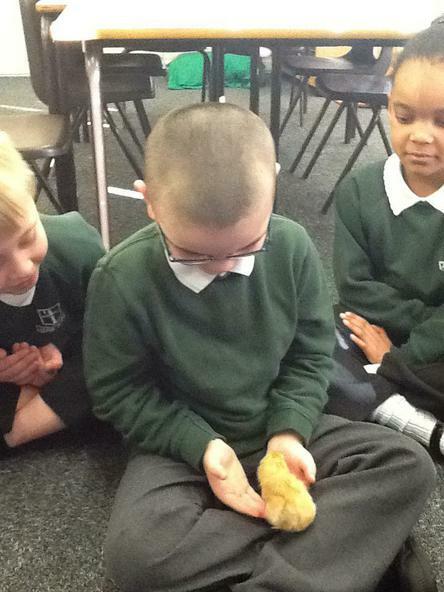 In Science we have done a block of work on 'Growth and survival' We had a incubator in the classroom and watched the chicks hatch and also a block on 'Healthy lifestyles'. We also had a visit from a Knight called Mark. Please see the Year 2 Gallery page for more photos.